Congratulations to our March 2011 Young Artist award recipient, Leah Reber from Rosemount, Minnesota. Leah is a senior at Rosemount High School where she performs as a soloist and section leader in the wind and jazz ensembles as well as the award-winning RHS Marching Band under the direction of Steve Olsen. Mr. Olsen states, “Leah is a remarkable, musically expressive and confident leader, and an outstanding young lady with great depth of character. In addition to her many accomplishments with the RHS music program, Leah has been selected twice for the Minnesota All-State Band and participated in the University of Minnesota, Concordia College, St. Olaf College, and the Minnesota Band Directors Association Honor Bands. Throughout her high school career Leah has earned 16 superior ratings for solo, duet, and mixed ensemble performances and the annual Minnesota Solo and Ensemble Contests. During the summer of 2008 Leah had the opportunity to participate in the Minnesota Trumpet Clinic working with MSO Trumpeters Robert Dorer and Charles Lazarus. In 2009 Leah attended the Lincoln Center Jazz Orchestra Clinic, St. Olaf’s Music Camp, and the Minnesota Trumpet Academy working with Steve Kreisel, Paul Stodolka, and Kelly Rosum. In July of 2010 Leah participated in the Boston University Tanglewood Institute workshop studying with Terry Everson. Aside from her numerous musical activities Leah is a member of the National Honor Society and Spanish Honor Society, volunteers to feed the hungry in her community, and has even worked at the Minnesota State Fair and as an assistant to a tax preparation firm in Rosemount. Amazingly Leah is also a dedicated skater leading her to pass the US Figure Skating Association’s Juvenile Free Skate test in 2008 as well as the Novice test in Field Moves in 2009. Currently Leah studies privately with Takako Senn and David Baldwin, and plans a career path in music performance. Best wishes for success on the audition trail. 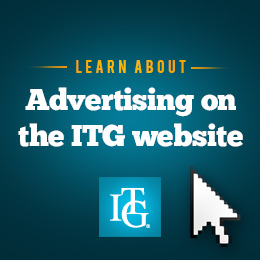 Leah will receive a one-year complimentary membership in ITG.